drain cleaning. We also offer hydro-jetting, video inspection and maintenance products. 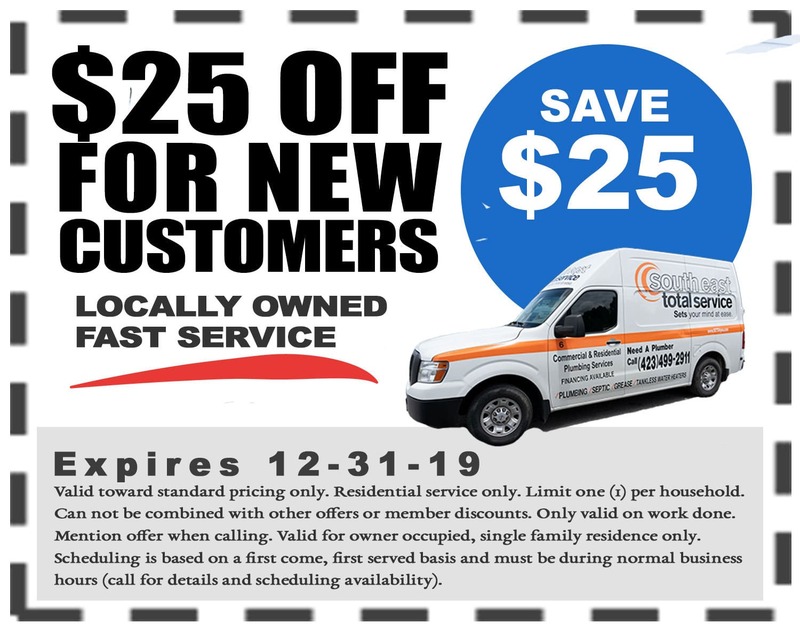 Whether in the city or the country, our 24-hour emergency services are available for Greater Chattanooga residents and businesses from our highly-trained technicians. 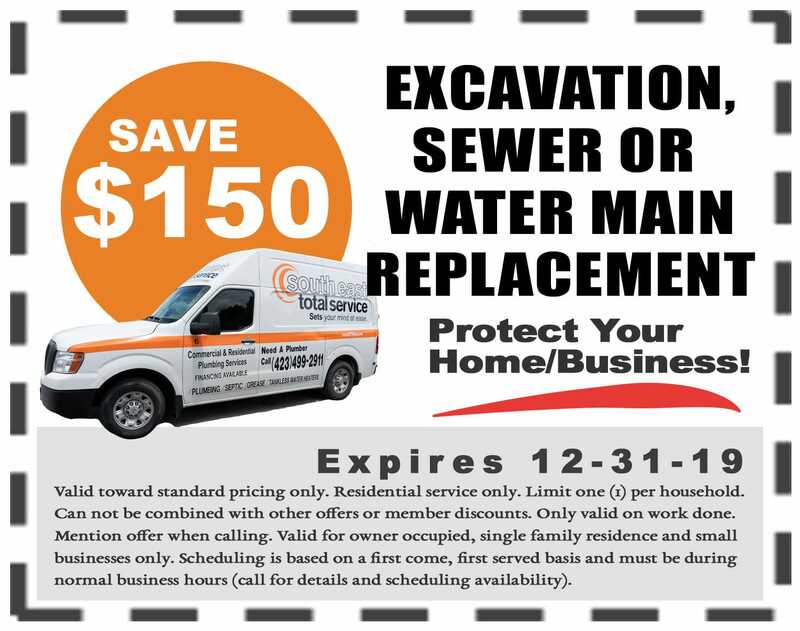 Call South East Total Service today at (423) 499-2911 for quality plumbing service! Plumbing is more than just repairing faucets and unclogging drains. And sometimes the window of opportunity to repair damage is very short. Employing our experienced professionals means that you will get all your property plumbing checked and diagnosed. For emergency plumbing Chattanooga turns to Southeast Total Service. We provide your location with comprehensive repair, installation and maintenance service. 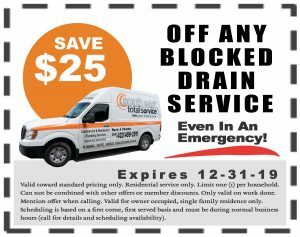 Whether you need home drain cleaning or business excavation services, call us at (423) 499-2911 now to request quick and reliable service! 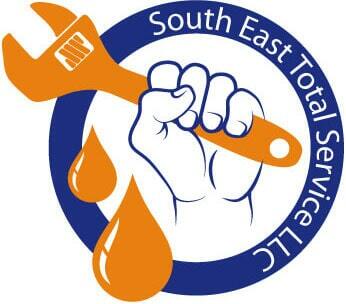 South East Total Service: S.E.T.S. your mind at ease! Sometimes owning property (residential or commercial) can be stressful. 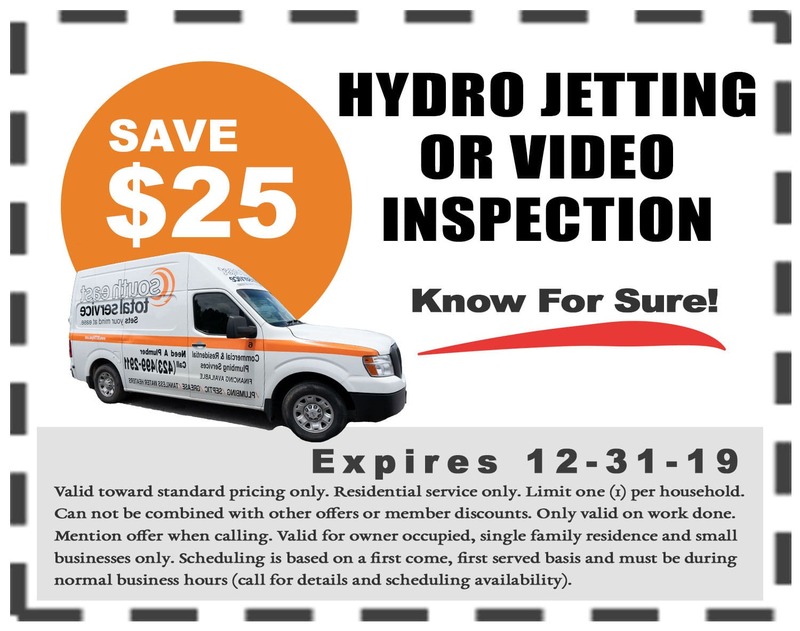 Do you have plumbing issues like dripping faucets, running toilets, leaking pipes, slow drains? What about dirty, smelly water, lukewarm showers or emergency toilet repair? South East Total Service, LLC is here to help. Our full service plumbing company Sets your mind at Ease! The average Chattanooga plumbing company will provide one service or another. As premier Chattanooga plumbers we will perform every aspect of the job from start to finish. Please browse through our plumbing SERVICES section for a description of some of the most common plumbing services. In a unique situation, our Master Plumber will analyze the situation and find the most effective solution. From sewer issues to toilet repair Chattanooga turns to the best best plumber Chattanooga has. 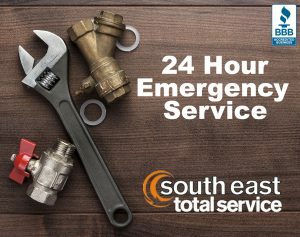 South East Total Service. Just give us a call - No Job is too Big or too Small for the best plumbers in Chattanooga TN. 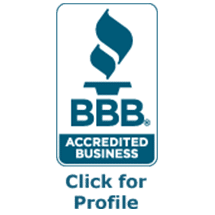 South East Total Service, LLC is committed to becoming the recognized plumbing leader in Chattanooga, TN for all phases of plumbing from structure maintenance to repair and improvement while providing fast, reliable 24 hour emergency service. 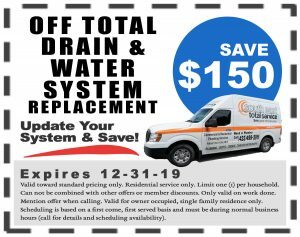 It is our intent to professionally provide the most comprehensive range of plumbing services to all property owners in Chattanooga and surrounding areas. South East Total Service, LLC sets your mind at ease. Our plumbers handle every interaction with honesty, fairness and respect to ensure that the business relationships we have earned will continue into the future. Our continuing goal is to ensure our clients feel totally confident and secure in doing business with us. Our highly trained plumbers deliver the exceptional quality of work and customer service that is remembered long after the work is completed! We will come out and test the plumbing system to determine the best way to make your tap water more desirable. Gas water heaters are an economical solution. Electric water heaters generally require less parts. At SETS, we respond the same day in most cases. Our highly trained technicians can clear and/or replace any drain. 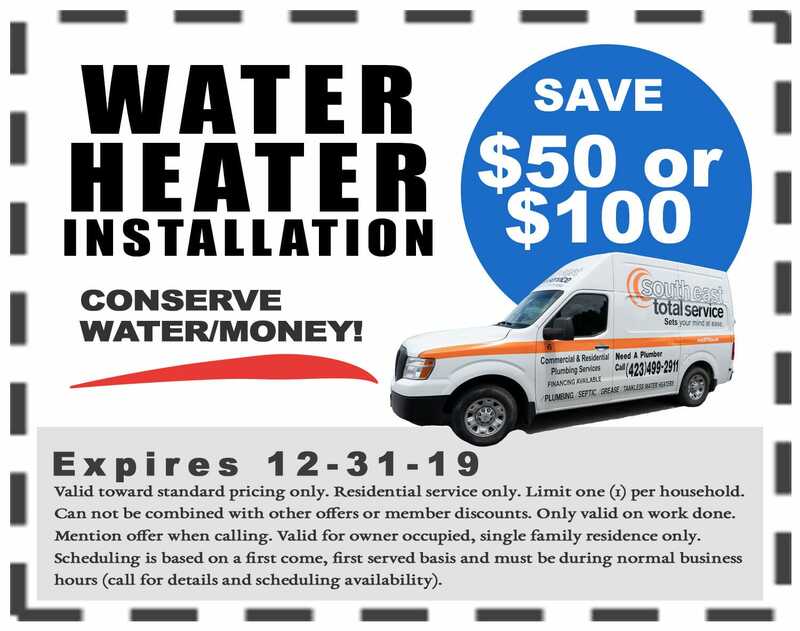 When looking for a plumber Chattanooga Turns to Southeast Total Service. SETS expert excavation crew has over 16 years experience performing excavations. Simply log into our live video feed from anywhere in the world and interact with the technician while he is still on the property. The Plumber Chattanooga Turns To.